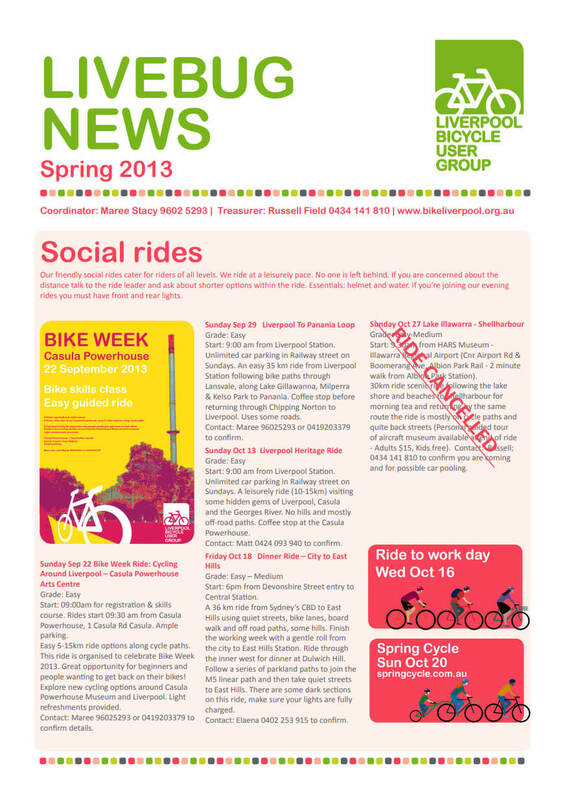 We publish our newsletter four times per year. 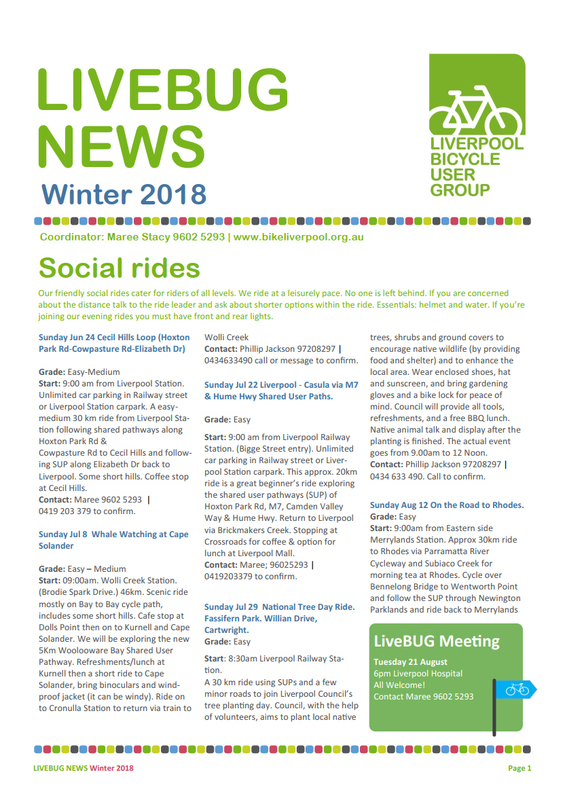 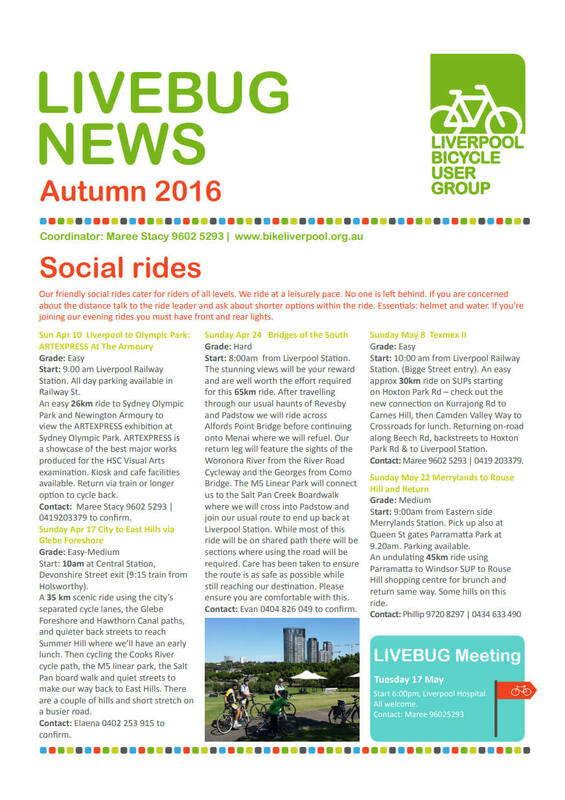 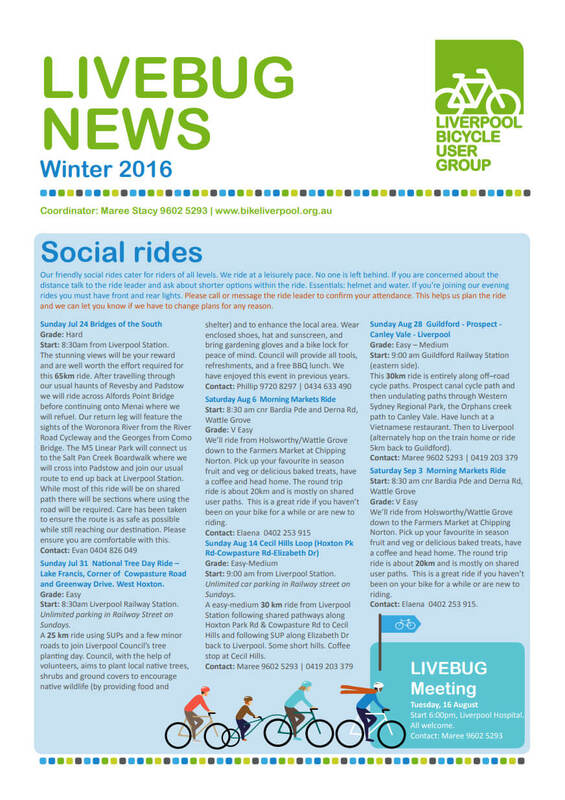 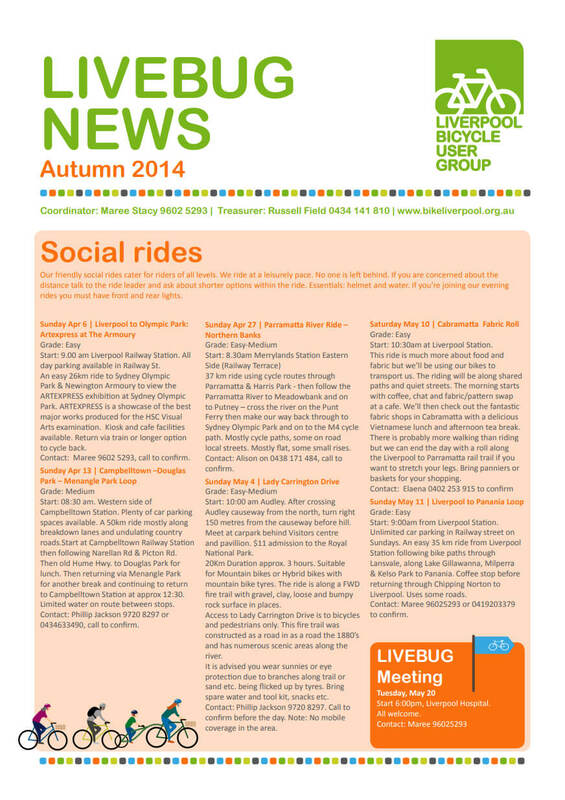 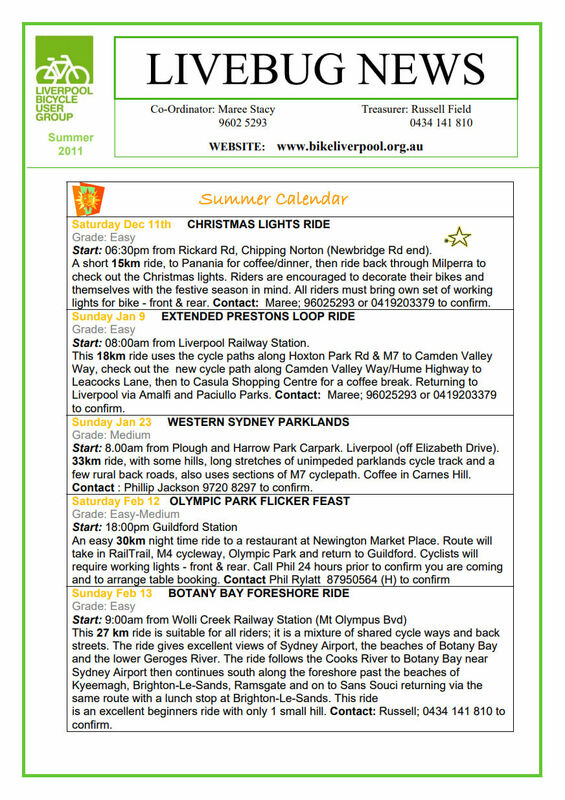 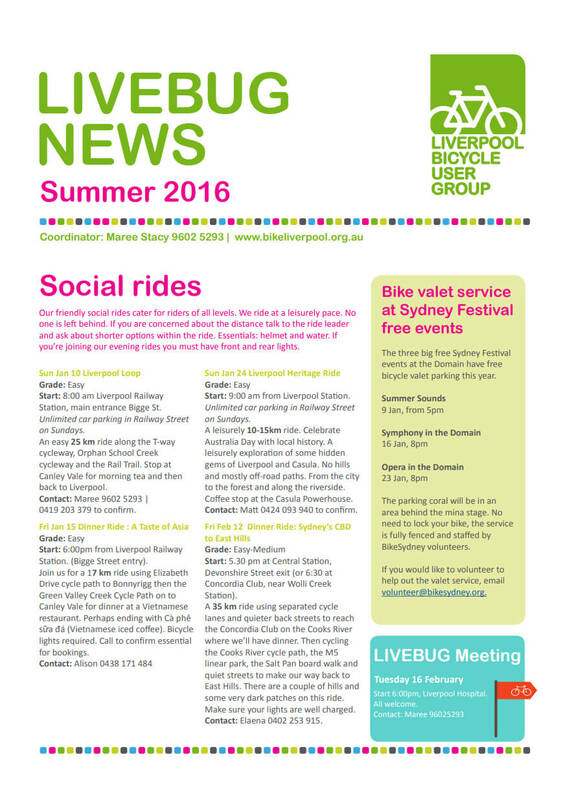 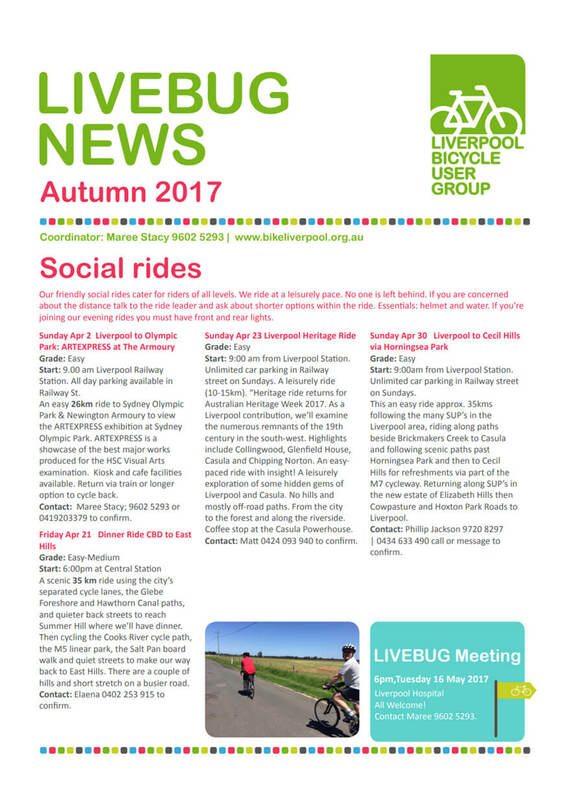 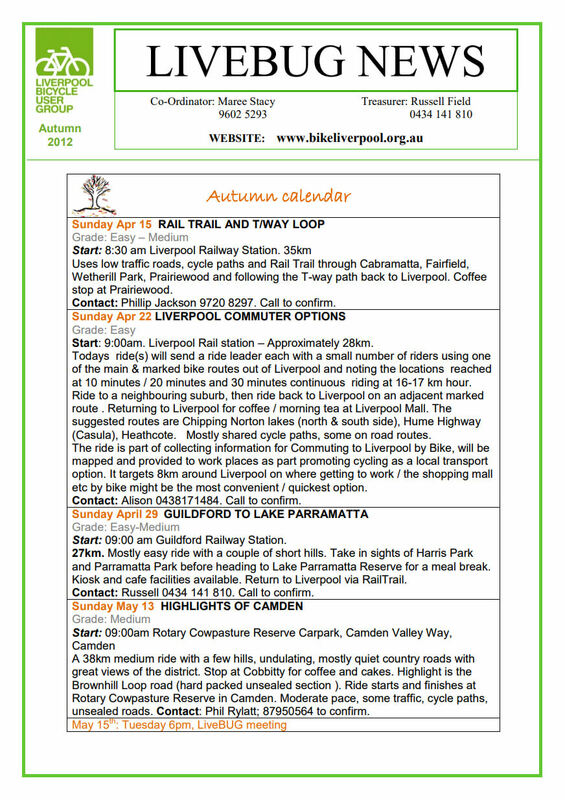 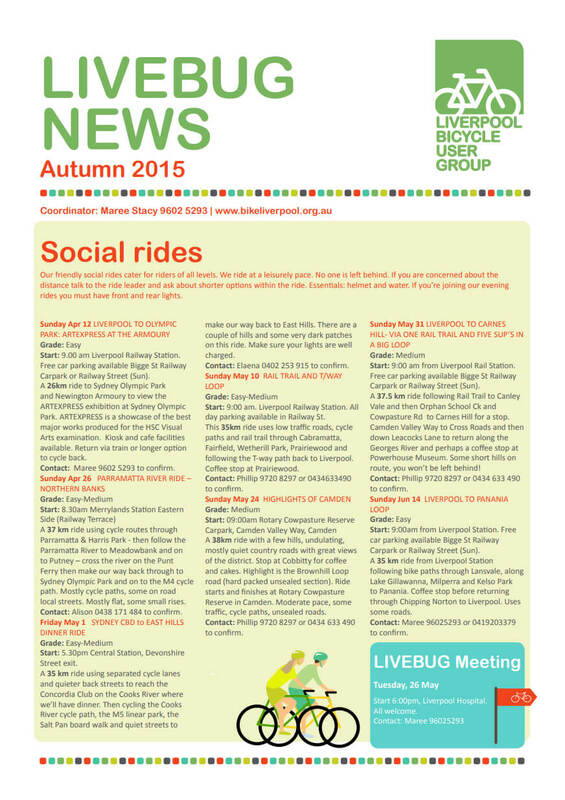 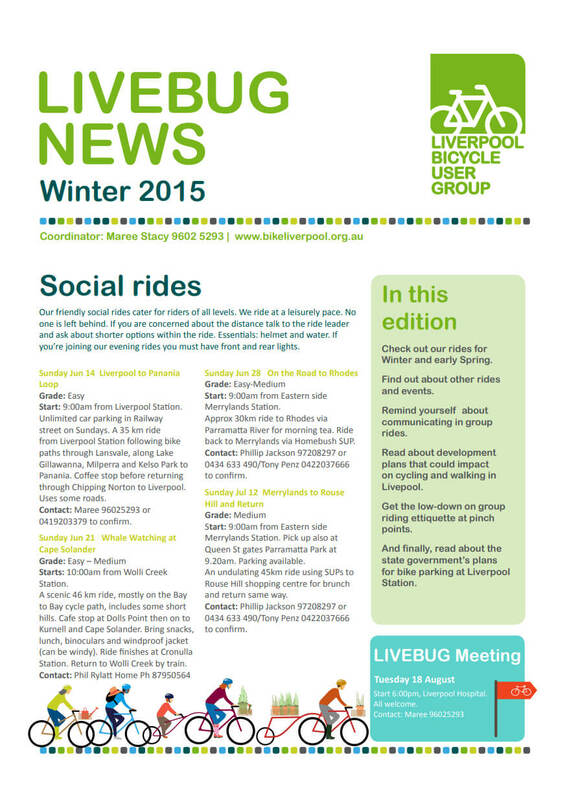 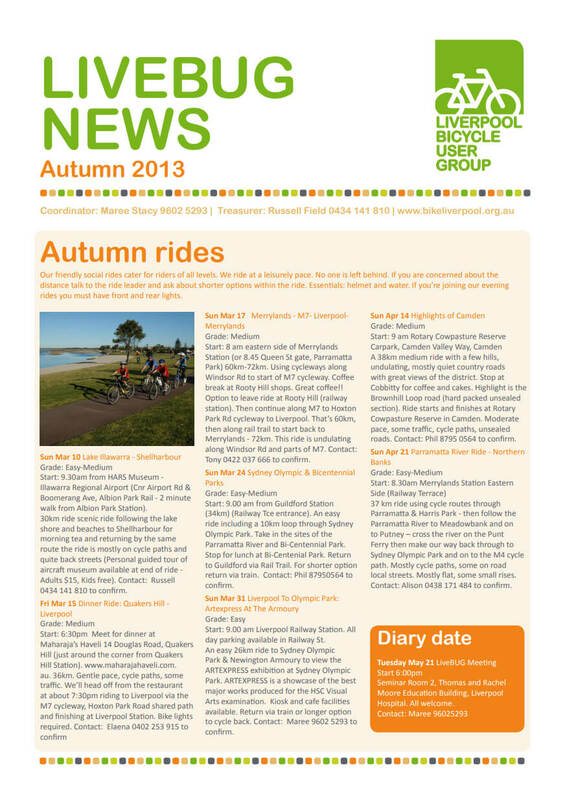 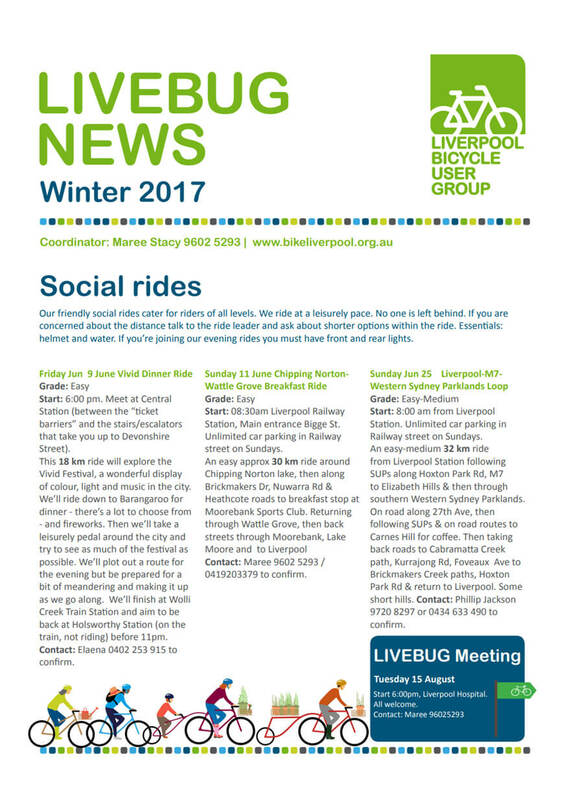 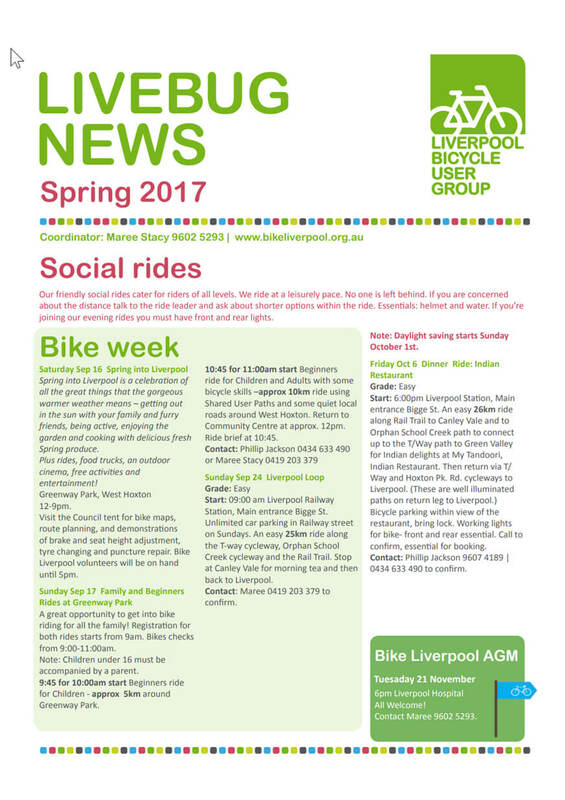 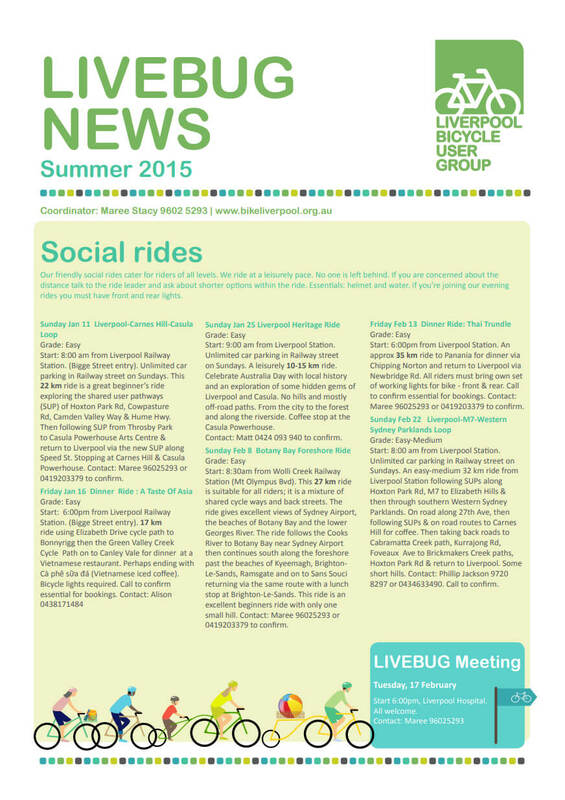 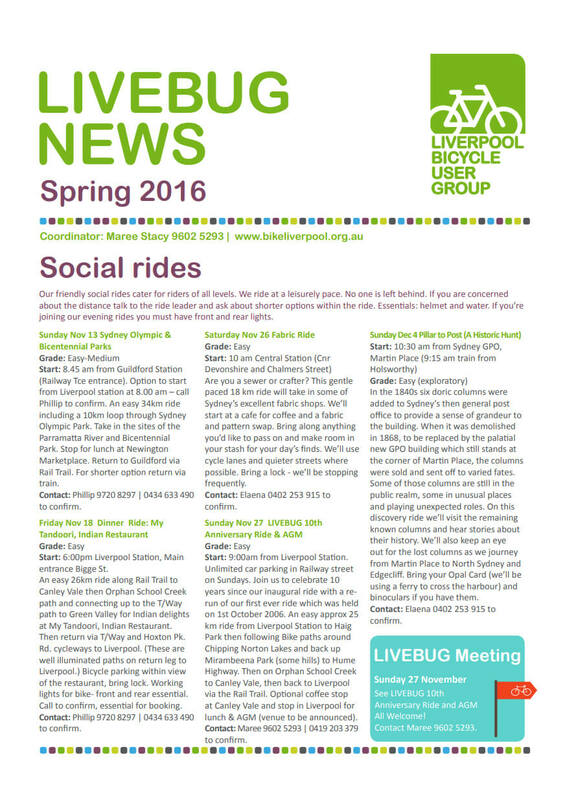 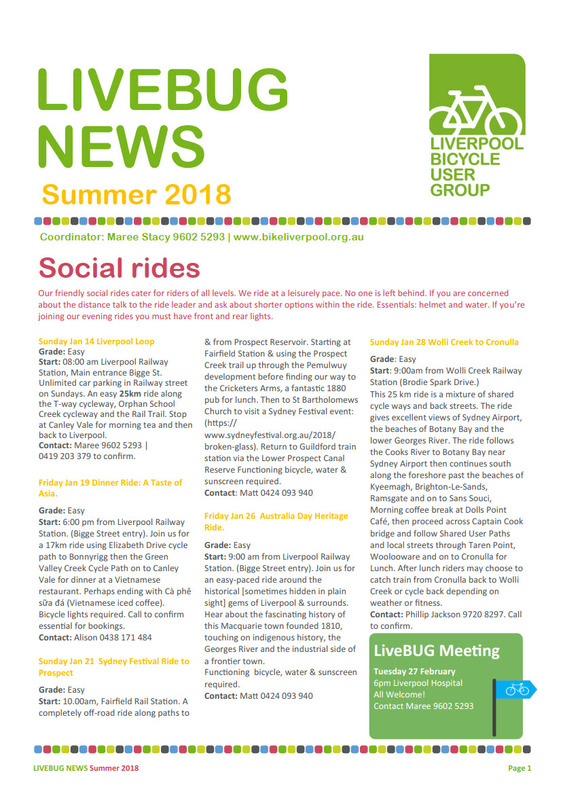 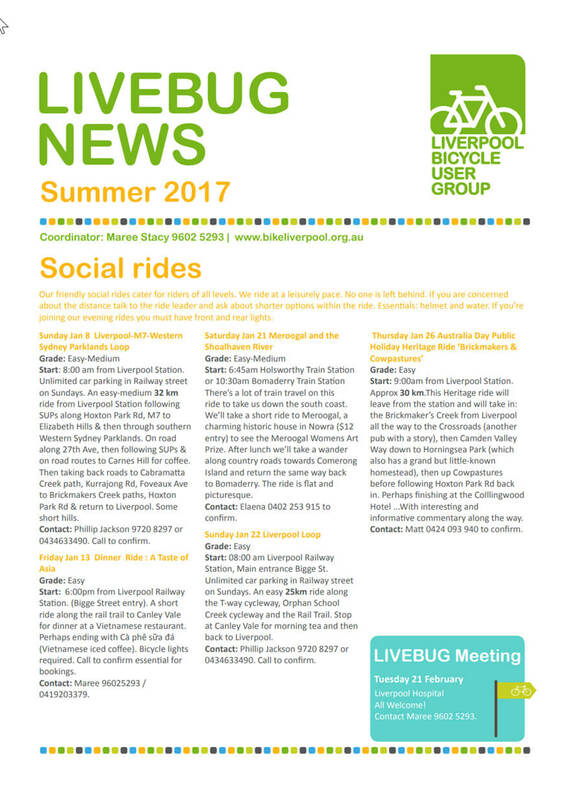 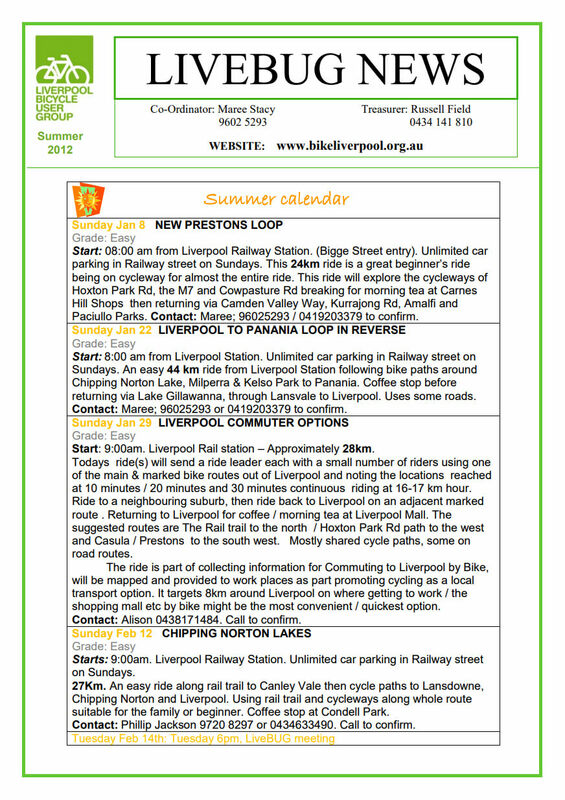 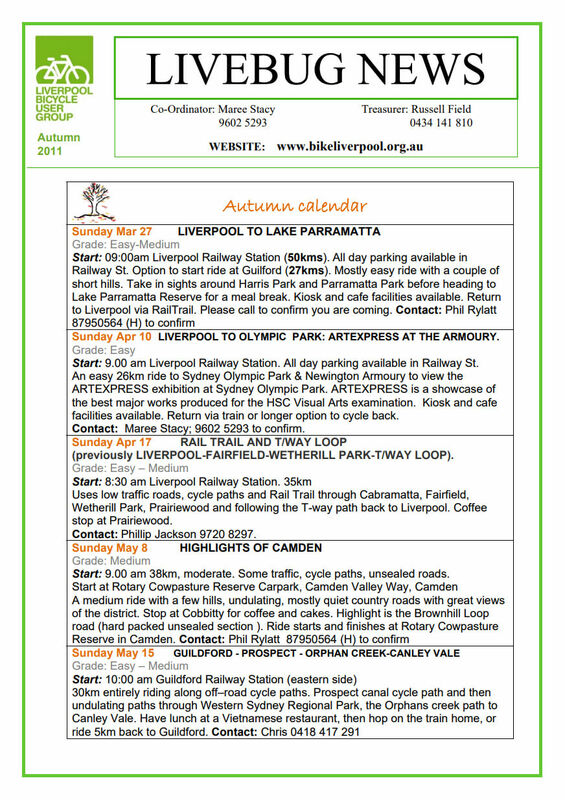 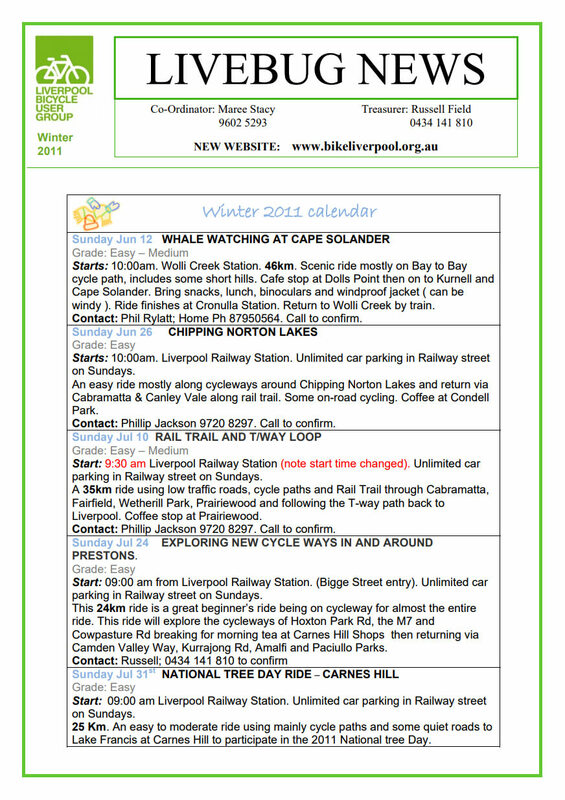 It contains a list of upcoming rides, reports about or past rides and information about our advocacy work and progress on local paths. 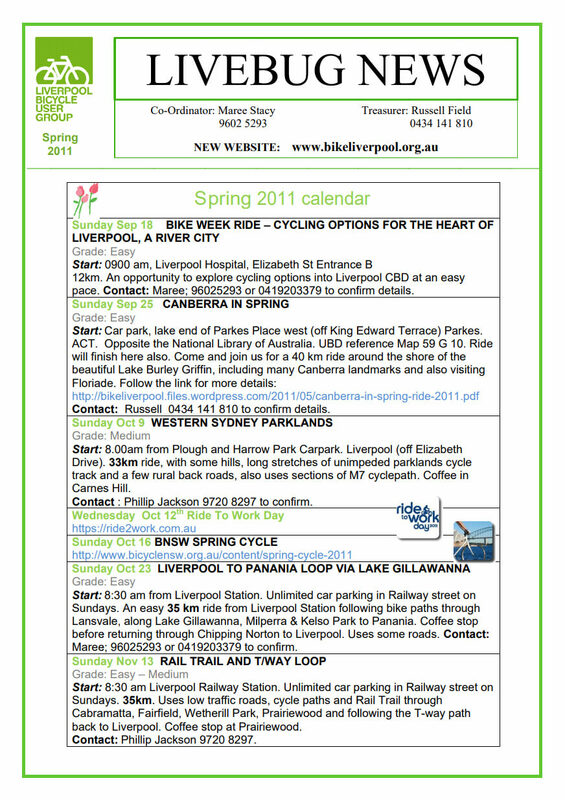 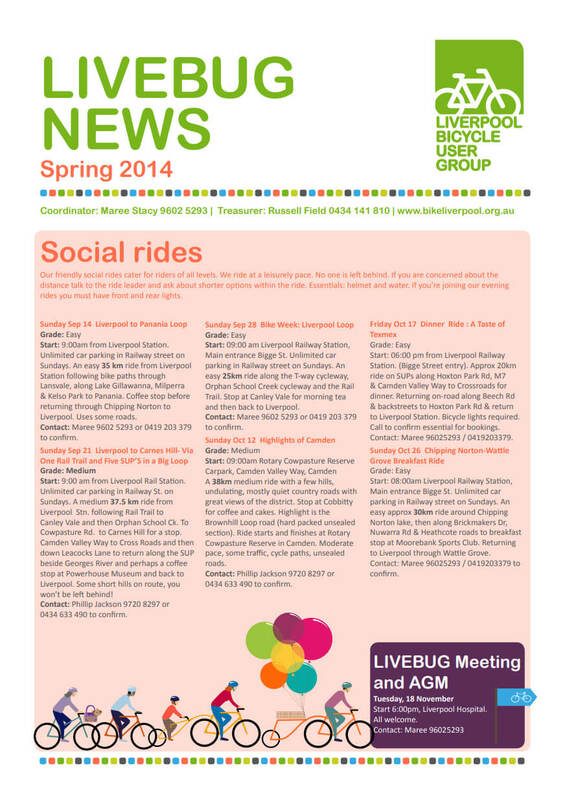 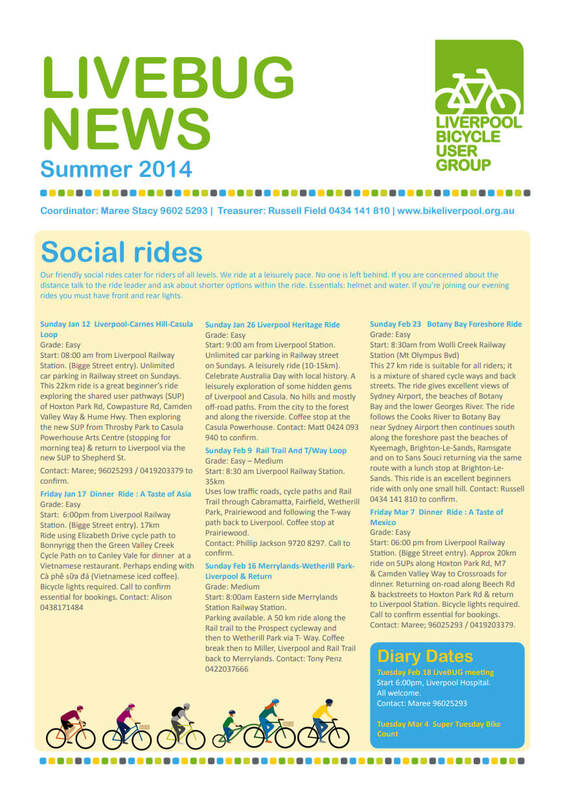 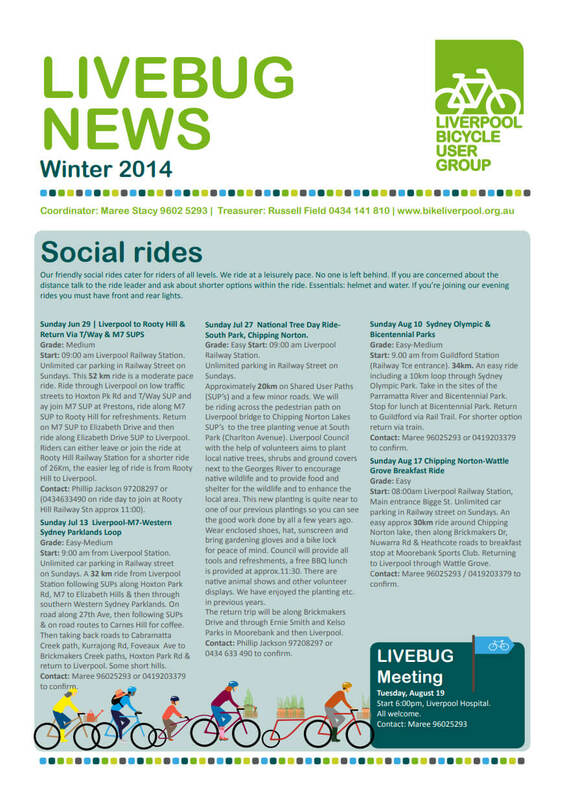 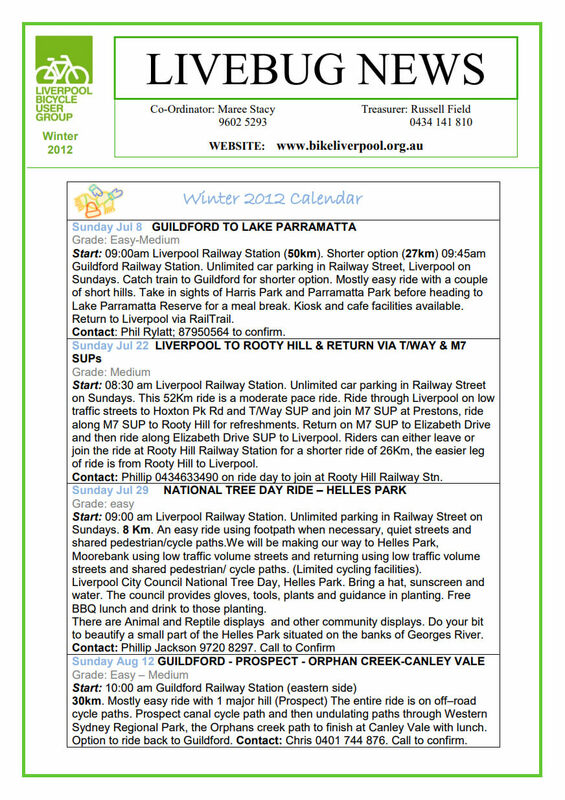 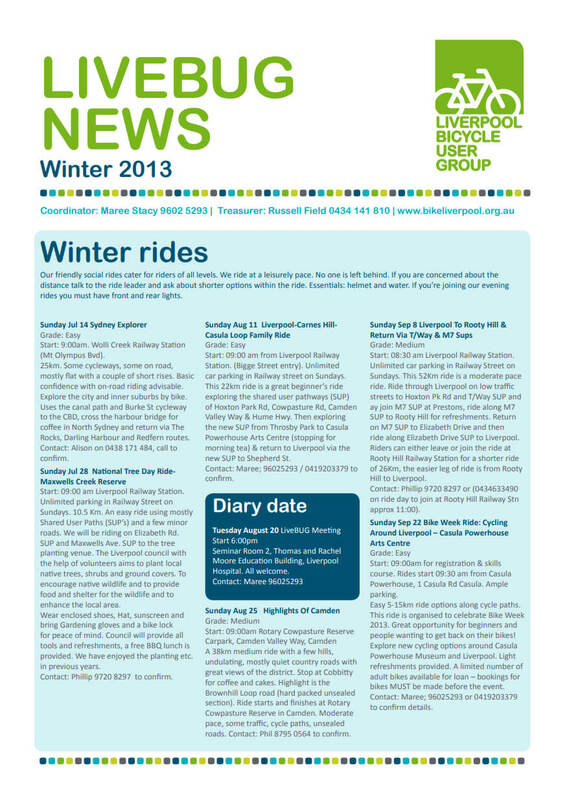 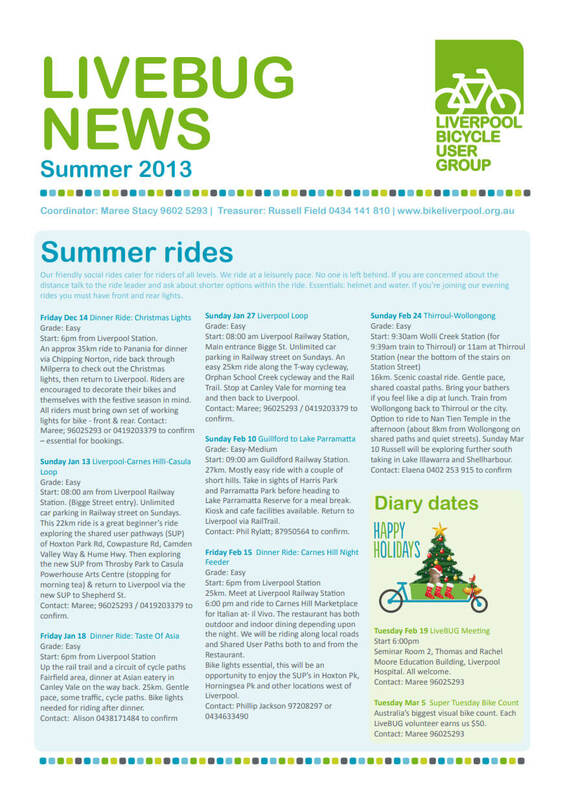 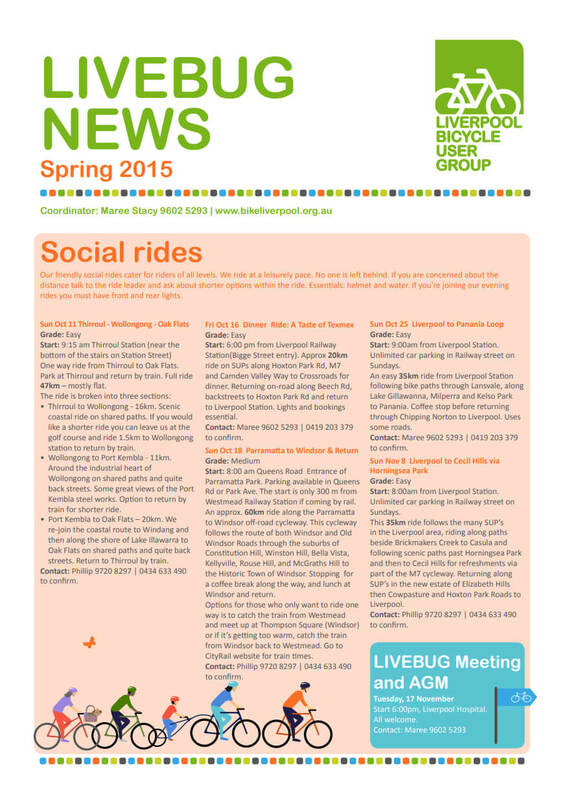 All past newsletters are also available, with 2011 being our first year. Error: Error validating access token: Session has expired on Wednesday, 06-Feb-19 02:49:57 PST. 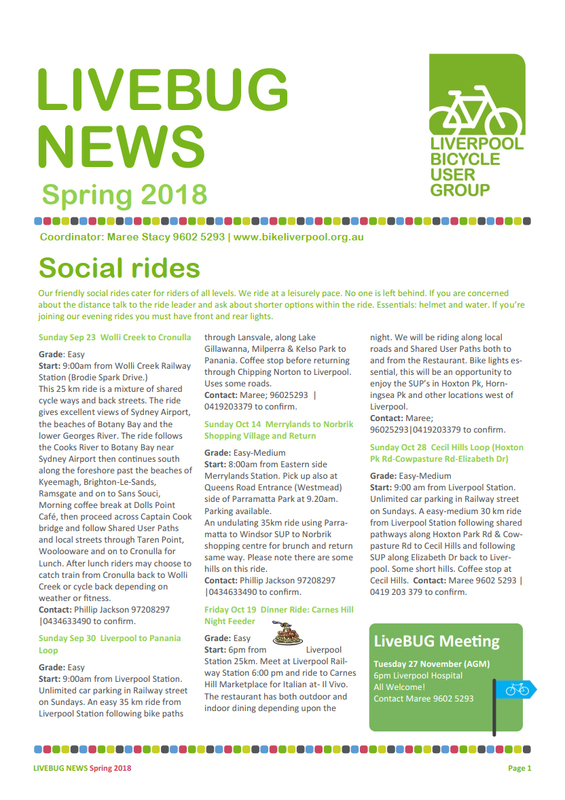 The current time is Friday, 26-Apr-19 03:12:35 PDT.